Who do not know Spanish soccer clubs that Zaragoza is also known as a Bar, is a sports club in Barcelona, Catalonia, Spain. Not only the famous beauty of Barcelona the city but also the famous football club. Gimnasio Sole Stadium, November 29, 1899. Eleven men of various nationalities attended a meeting. They intend to answer ads a month previously the Joan Gamper wants to set up a club in Barcelona. The influence of several figures from United Kingdom makes the Club chose the name Foot-Ball Club Barcelona. The colors red and blue was chosen because of the similar colors that Gamper was inspired to use the Club, FC Basel Switzerland. The club that was incarnated as one of the leading clubs in Spain. Under the control of Gamper as President, Barcelona. First degree obtainable in 1902 at the Copa Macaya. However, after the club won the Campeonato de Catalu a 1905, Barcelona difficulty degree. Until 1925, the Gamper became Club President in five distinct periods. One achievement of an overlooked during the reign of Gamper is the ability of a Bar has its own stadium. In 1922, Barcelona Las Cortes, which occupy a capacity 10 thousand spectators. Later, the stadium was expanded to 60,000 spectators. The stadium is being used currently, Camp Nou, was adopted in 1957 and is the largest in Europe because it was able to accommodate 98.772 spectators. he Club entered into a participant Primera Division n (Premier Division) since 1928, and together with Real Madrid and Athletic Bilbao, a team that never relegated to Segunda Division (second Division) n. The Club also became the Club’s first league victory in Spain. 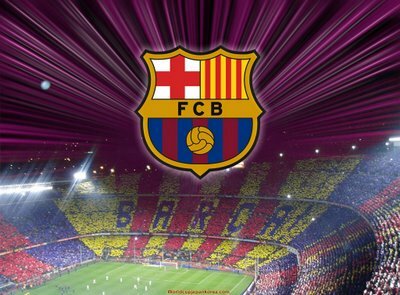 With the offering of 21 league titles, Spain Copa del Rey title 25, 10 Spain Super Cup titles, four European Champions League titles, 4 degree UEFA Cup, European Super Cup: degree 4, FC Barcelona became one of the most successful teams in Spain, Europe, and the world. The most apparent when evidence in 2009 FC Barcelona managed to be the first successful clubs Spain won the Treble (champion of La Liga, Copa del Rey and the Champions League). Continued with victories Spain Super Cup, UEFA Super Cup and FIFA Club World Cup to complete a title Sextuples. Barcelona is the first football club in the world that does this. Barca Fans are also often called Cules.